I had the lovely chance to review some gorgeous necklaces from My First Jewellery. My girls love wearing my bracelets and necklaces when they find them, just like every other little girl. My First Jewellery design beautiful jewellery for those special little girls aged 3+. I received one necklace each for my girls and I instantly fell in love with them. One was a butterfly shape and the other was a stunning dolphin shape with blue diamond-like. 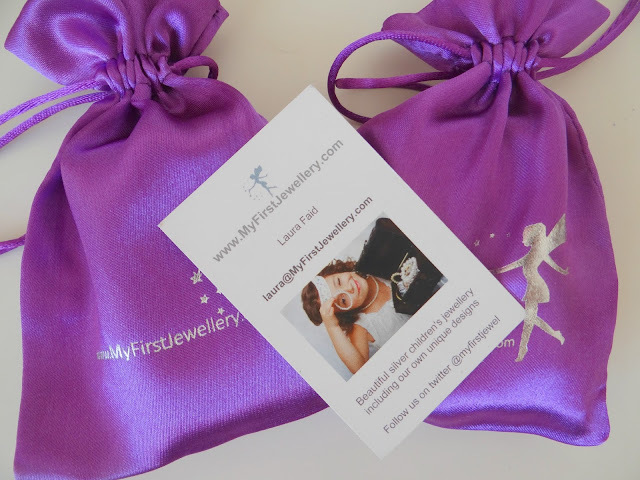 The necklaces were packed in these lovely little purple pouches and black box. 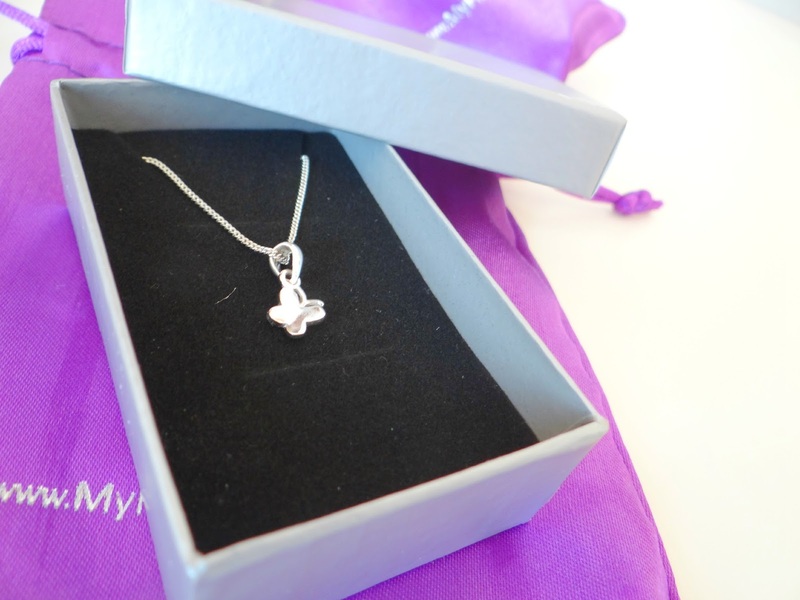 The necklace is perfect size for a child aged 3+. It's not just necklaces that My First Jewellery sell, they offer other products too such as other necklace designs, rings, bracelets and earrings which are beautiful. 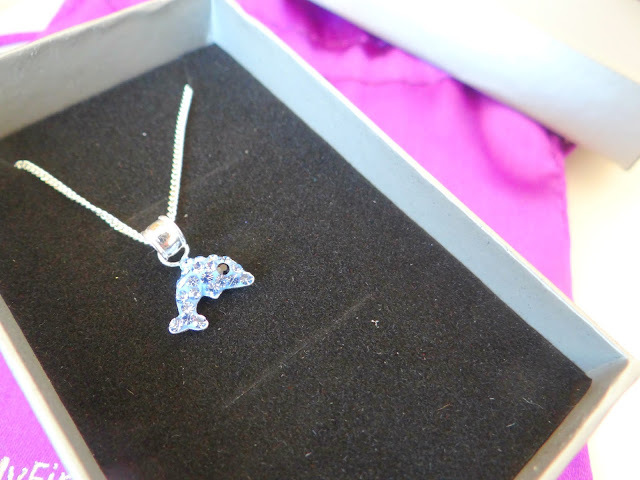 They also offer boys jewellery and jewellery for older girls. 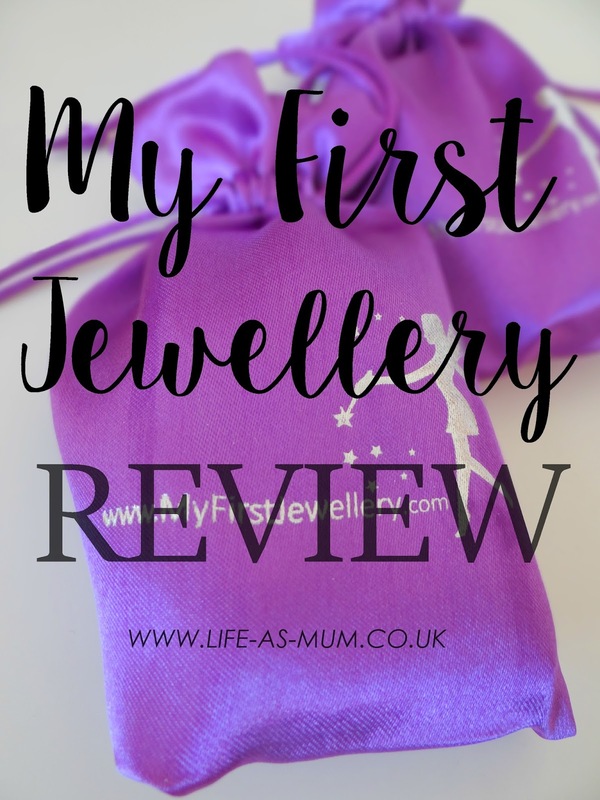 My First Jewellery is the perfect gift for any little girl. I have decided to keep these until Christmas so come back in January to see what both girls thought. Overall, I am overly pleased with these necklaces. If your little girl loves her jewellery I would recommend these beautiful necklaces from My First Jewellery. * I was given these items free of charge in return of my honest opinion. All words, images and opinion is my own, always. I am mad about jewellery and I have big collection of beautiful jewellery like mother and daughter jewlllery, baby jewellery, earrings etc. So i would like to suggest you one of my favorite online shopping website which is absolutely pretty.